Crater Lake is the jewel of Oregon. If there’s only one place you can get to for some Oregon photography, this should be it. Located in the south of the state, Crate Lake is truly the most stunning place. At one time it was listed as one of the natural wonders of the world. Of course, as days go, I happen to get there recently on a cloudy day. If I could find my sunny day photos I would show them to you, but, I was happy to get something different with the clouds pouring over the rim and the rainbow over Wizard Island was a happy bonus. I am fond of panorama photography and so I also got my fun there too. Crater Lake was formed around 7,700 years ago when Mt. Mazama collapsed into a crater. 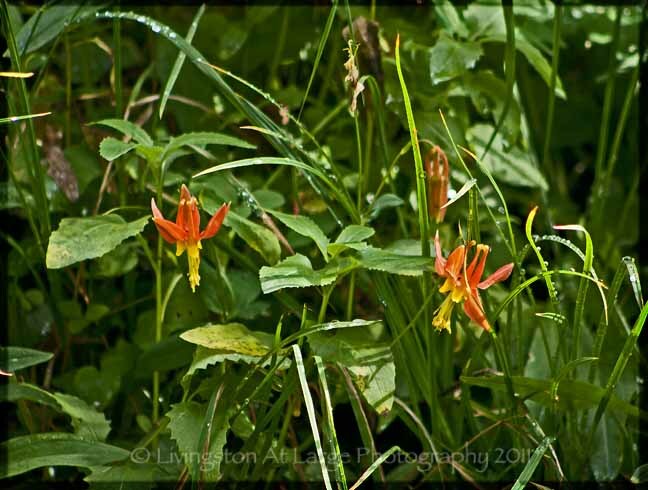 It was discovered by trappers in 1853 and was designated a national park in 1902. 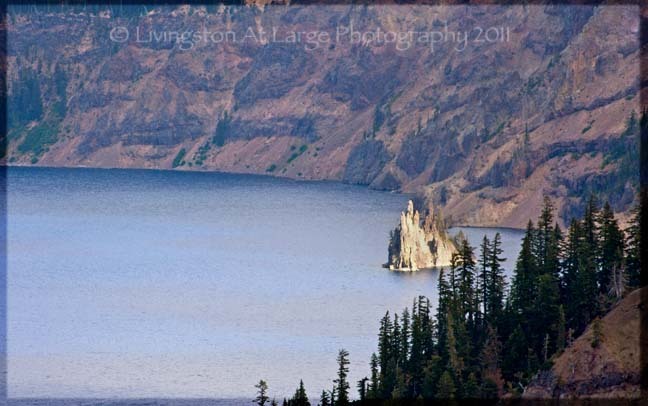 At 1,943 feet (592 meters) deep, it is the deepest lake in the United States, and the seventh deepest in the world. One of the odd facts is that Crater Lake is isolated from surrounding streams and rivers, there is no inlet or outlet to the lake. All the water in the lake comes from annual rain and snowfall. The lake took approx 250 years to fill and has only varied in depth since by about 16 ft. There are many great features around the lake. Ship Rock (below) and Wizard Island (above) are some of the most prominent. There is also the Old Man tree which has been bobbing around the lake for over 100 years. As I said earlier, it is a really great location in several spots to practice your panorama photography techniques. This one at the top is from the south rim visitors’ station. And this one is from the North Rim area. There are several other great areas around the rim that do not involve Crater Lake itself. 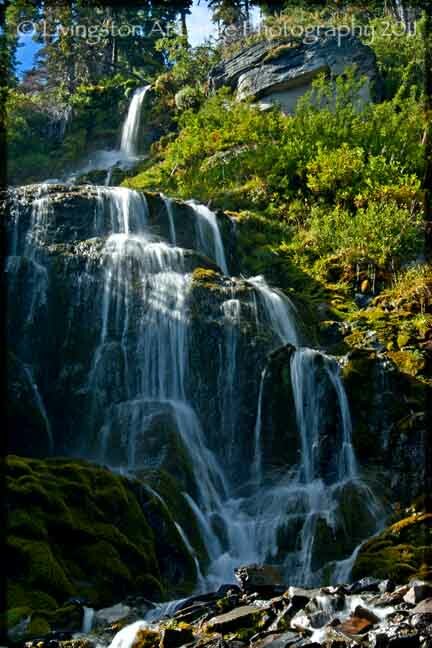 Vidae Falls is one of my favorites on the south area of the Rim Road. And the Castle Garden Wildflower area. 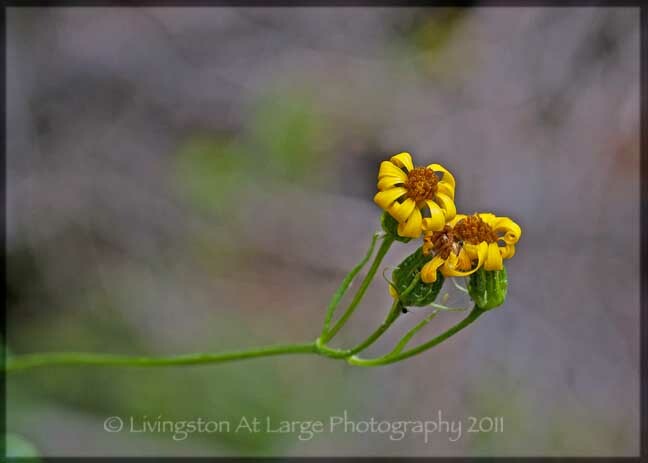 Even in the fall there were still some flowers photography to be had. All in all, you would have to drop your camera (she whispers in horror) or fall in the lake (not surprising) to not get some good photographs. In the summer there are Range talks, boat tours, guided hikes, trolley tours a Jr. Ranger program and an evening program. There is also a Science Center, which hosts Artist in Residence programs as well as other student and research programs. The park is always open, but some of the roads and facilities are closed during the winter. However, if you are there in the winter there are still some stunning photos to be had. The park's north entrance is closed in the winter and spring. Mostly the north entrance is closed from early November to June. The Rim Road is 33 miles around. They plow Rim Drives, North Entrance Road and the Pinnacles Road starting mid to late April. The West Rim Drive and North Entrance Road can open as early as June for cars. East Rim Drive and the Pinnacles Road do not normally open for cars until July. If you are really ambitious and want to combine some fun, you can cross country ski sometimes as early as October. You can call park dispatch for the latest road status (541)594-3000. There are also annual passes and several other options interagency pass options available. Check here. Food: Yes. There are several options for cafes around the park. Birds : The checklist of birds is truly vast and very seasonal. Other: There are two visitors’ stations, one at the Rim Village and one at the Park Headquarters. There is also gas at the Mazama Campground store from late May to mid October, 10:00 am - 5:00 pm. Hours are extended during the summer. There is a Post Office at the visitors’ center at the Park Headquarters (Steel Visitor Center). From early July to late September scuba diving is allowed! 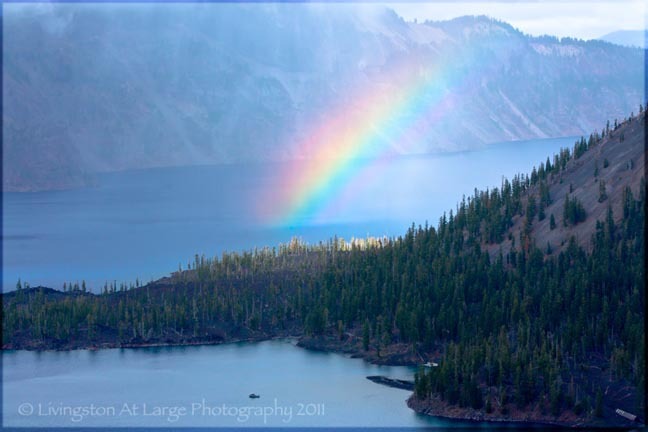 Do you have a great story about Crater Lake? Share it!